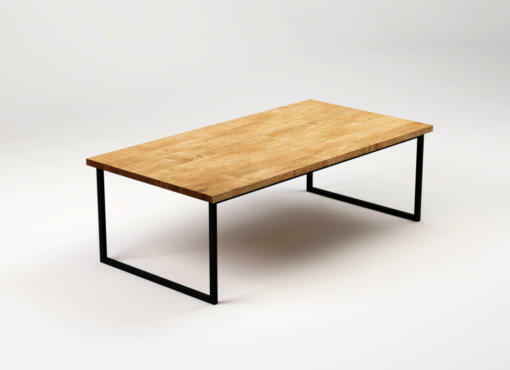 BASIC TVÅ is a rectangular Scandinavian coffee table with a wooden top and metal base. It’s handmade using natural materials and traditional crafts. 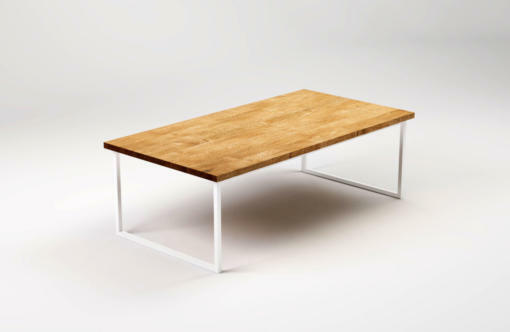 In the minimalist style furniture, the materials used are usually the most important decoration. Our craftsmen carefully select of the most interesting and beautiful pieces of oak wood for the tabletops. The wood grain and delicate texture must meet the highest requirements to be used in the production. 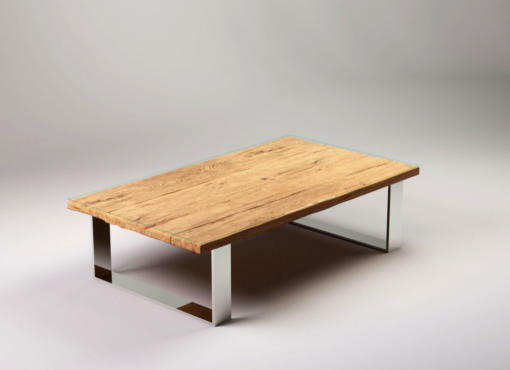 This is what makes BASIC TVÅ modern coffee tables exceptional. 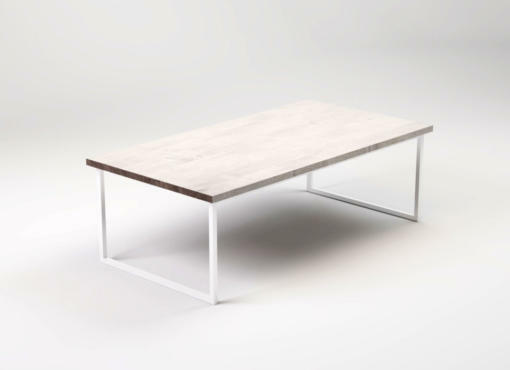 The white steel frame on which the coffee table top is based has a very interesting shape forming one continuous ribbon construction. The highest quality steel makes the solid and stable base. Clean lines and simple form are the main features of modern minimalist design.